Women’s safety is increasingly becoming a matter of national and international priority. Safety for women encompasses not only freedom from crime or violence but also freedom from the fear of such violence. Women’s safety is being viewed as a means to fast-tracking gender equality and women empowerment. While the moral concerns for ensuring women’s safety are being recognized, the economic implications of lack of this safety are largely ignored. It is interesting to note that a 27% increase in India’s GDP can be achieved if women’s participation in the labour force reaches the same level as that of men (IMF). However, the major roadblock in accomplishing this gender parity is the lack of safety of women in workplaces in particular and public spaces in general. 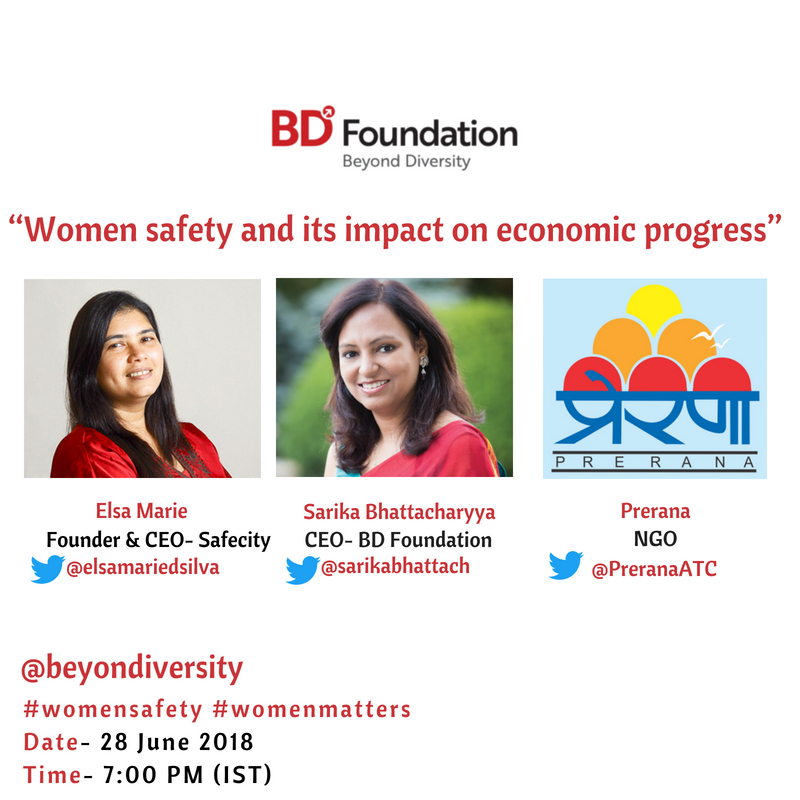 To address the economic question of women’s safety, BD Foundation is conducting a Twitter Chat on June 28, 2018. The discussion will revolve around ‘Women safety and its impact on economic progress’, engaging leaders from 3 organizations, including Safecity, BD Foundation and Prerana, which are champions of women rights and safety. Ms Elsa Marie D’Silva, Founder and CEO, Safecity, is an advocate of women rights and seeks to create safe spaces for women. Her brainchild, Safecity, crowdmaps personal stories of sexual harassment in public spaces. The aim is to improve the awareness and consciousness among people while running campaigns to end gendered violence. Ms Sarika Bhattacharyya, CEO, BD Foundation, is an inclusion strategist and leadership facilitator passionate about promoting equality for all. 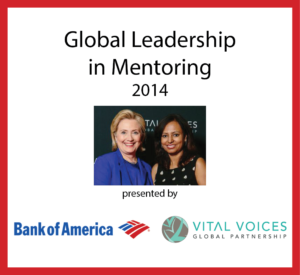 Through her organization, she seeks to make workplaces inclusive, gender sensitive and gender neutral. Prerana is a not for profit organization that strives to protect women and children from commercial sexual exploitation and human trafficking. The organization makes an effort to rehabilitate and provide capacity building training to victims of sexual and other forms of abuse, in addition to advocating women and child rights. The engaging dialogue will attempt to deconstruct the economic costs of ignoring women safety. Through it, we seek to explore the dynamics of women safety, its impact on women’s participation in the labour force, challenges and potential solutions. Join us for this interactive session to voice your opinions and hear and connect with women safety and rights champions.